National swimmer Danny Yeo's hopes of a good showing at next month's Singapore National Age Group (Snag) Championships, the last local qualifier for the Olympics, have taken a hit after he was stricken with dengue fever. The 25-year-old was diagnosed just before the Chinese New Year break and has since been going to the hospital daily for blood tests. He is expected to be out of action for about two weeks. The freestyle specialist is still expected to compete in the Snag meet from March 16-20 at the OCBC Aquatic Centre, but admits that the time away from the pool could hurt his form. "If I said it wouldn't affect me, it would be a lie," he told The Straits Times yesterday. "But the tests are looking better now so I might be going back to swimming next week." Yeo, part of two gold-winning freestyle quartets at last year SEA Games, is unsure where he was bitten. I would probably clock a better timing at Snag if this didn't happen. But I'm still going to give my all for the trials, and just believe in the process. 'DANNY YEO, a freestyle specialist who hopes to return to the pool next week after his illness. While the Kim Keat area where he lives is an active dengue cluster, he does not know of anyone else living in the vicinity who is affected. Having shown promising results in training and at the recent Arena Pro Swim Series in Austin, Texas, he had been gunning for better times that would boost his chances of a maiden Olympic outing at the Aug 5-21 Rio de Janeiro Games. He has met the Olympic 'B' qualifying mark in the 100m, 200m and 400m freestyle and was aiming to clock a better 'B' time, if not a straight 'A' mark that would guarantee him an automatic slot in Brazil. Swimmers who meet 'B' times are not guaranteed slots, and instead are dependent on world swimming body Fina to allocate leftover slots around July. Said Yeo: "I would probably clock a better timing at Snag if this didn't happen. But I'm still going to give my all for the trials, and just believe in the process." National assistant coach Gary Tan remains optimistic that Yeo will put in a creditable showing. He said: "We believe that Danny is still in the running to do his best at Snag and try for an Olympic spot. What's important for us is to ensure that he recovers fully. His health is of utmost importance to us. He needs to be in good health before anything." 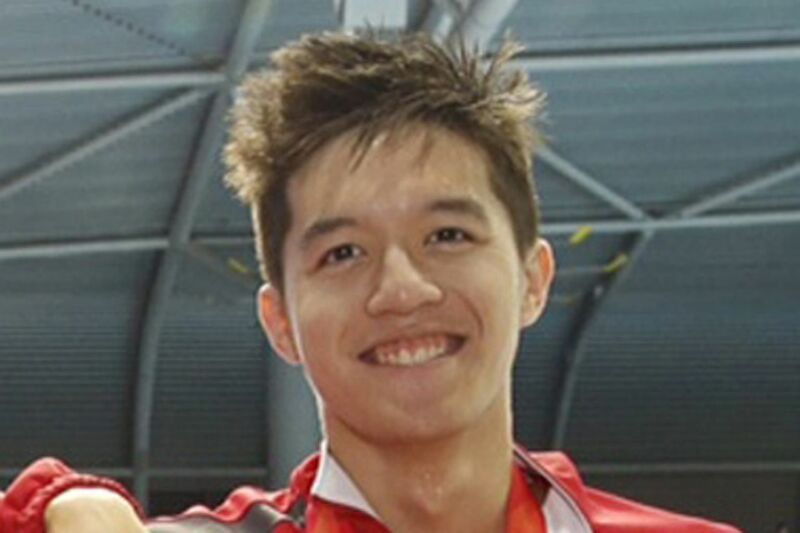 Yeo's is the second health-related blip for the national team in as many months. Breaststroke specialist Roanne Ho underwent surgery last month after her right lung collapsed 80 per cent and is recovering. Said Tan: "Ever since Danny and Roanne's incidents, the high-performance team are taking it one day at a time and making sure the swimmers stay healthy and are in good spirits." So far, eight swimmers have met the Olympic 'B' qualifying mark. Joseph Schooling and Quah Zheng Wen are the only ones who have met 'A' times.